Photos and videos of the bloody aftermath have been published. The Islamic State has claimed credit for both attacks. President al-Sisi has declared a three-month of state of emergency. But violence against Christians has been common for a long time. 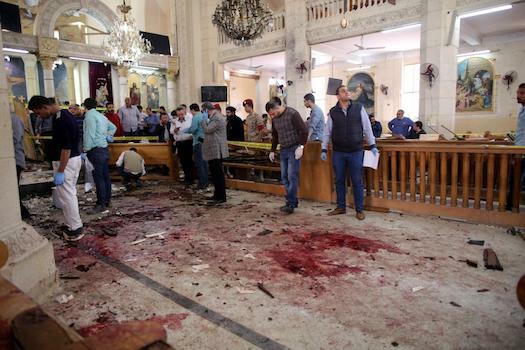 It is not clear how many among Egypt’s Muslim majority feel any urgency about ending the persecution of Christians, or are even opposed to their murder. In Sweden, the terrorist who used a stolen truck to murder four and injure many more in the name of Allah has been identified. He is Rakhmat Akilov. As was reported previously, he is an Uzbek national. He was denied asylum last June for reasons that I haven’t seen reported, likely because he was known to be a terrorist sympathizer. Akilov was ordered deported, but didn’t leave Sweden. Reportedly, “[t]he man had managed to avoid authorities, having given them the wrong address.” Apparently that is all it takes in Sweden, and most likely here in the U.S. as well. Residents fled the largest Palestinian refugee camp in Lebanon on Sunday as clashes between security forces and radical Islamists intensified for the third day. Ambulances rushed the wounded to hospitals near the Ein el-Hilweh camp in the port city of Sidon, and Lebanon’s state-run National News Agency reported that four people were killed since the fighting began Friday. The U.N. says some 55,000 people live in Ein el-Hilweh. It was established in 1948, to host Palestinians displaced by Israeli forces during the establishment of Israel. So Lebanon actually is an apartheid state. Funny, I haven’t seen any anti-Lebanon demonstrations on American college campuses. Why do you suppose that is? 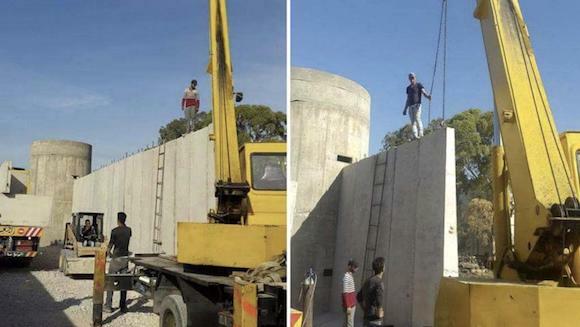 Lebanese authorities have paused construction of a concrete barrier around the camp. It’s funny how some walls are controversial, and others aren’t. I surmise two things: 1) The world has a serious problem. 2) Little is being done about it.